My friends asked me what brand of smartphone I use in taking photos. Currently, I'm using a Huawei P9, which I bought last year as a Christmas gift to myself. Prior to that, I'm using an ASUS Zenfone2. I've tried several smartphones in the past. It started in 2007 or 2008 when I purchased a Sony Ericsson P1i. Then several Nokia phones and Motorola Rzr. I still kept the V3x until now all the others I passed to my mom and siblings. I could not count the times I've attended phonetography workshops, probably four times. However, I love listening to the speakers, so amused with their passion and the photos they share to the world. 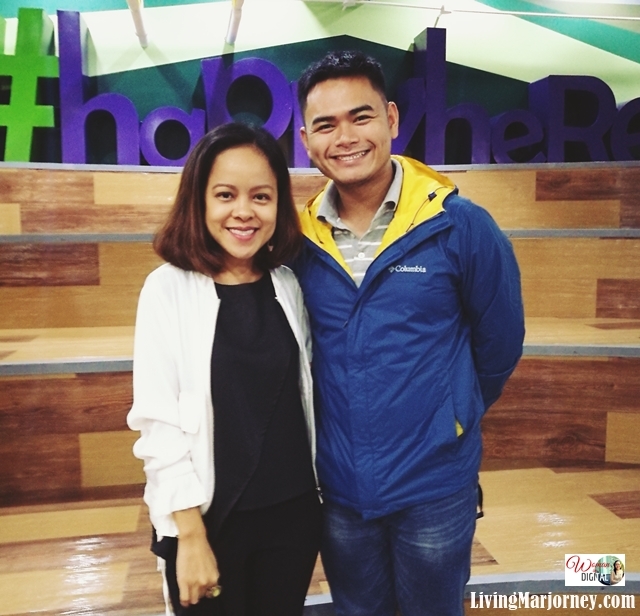 TELUS Philippines at McKinley West hosted an afternoon of mobile photography with guest speaker and award-winning phoyotographer Paul Quiambao. Using smartphones to capture amazing shots, we should treat our phones like a pro camera. As much as possible, taking photos in natural light. Avoid using the in-camera zoom. Go near to the subject so you could capture it more clearly. Familiarize yourself with the settings of your camera phone - ISO, white Balance and Shutter Speed. Use a camera stand or tripod especially in night photography. Keep the camera lens always clean and dry. 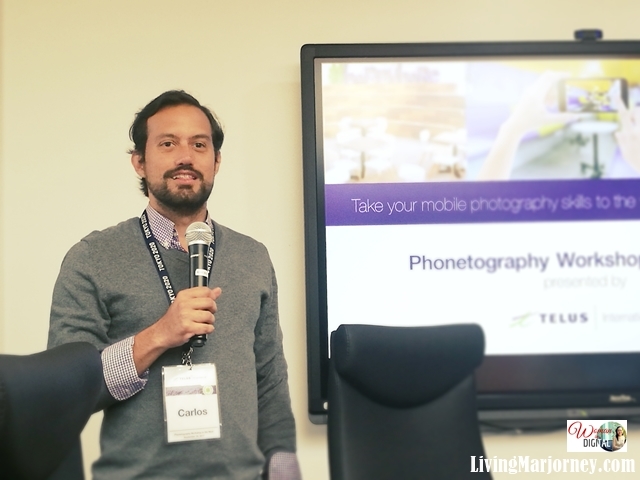 To apply what we have learned, TELUS hosted a phonetography contest. In a guided-tour, we went around their office and take photos of the Telus work-play design. TELUS International Philippines redefines work and play with creative work spaces by creating a fun and lively environment. These are evident with their colorful and playful hallways and vibrant common areas. Once the elevator doors open in each floor, team members are immediately welcomed by halls reminiscent of a high school - vivid and multi-colored lockers embellished with cool and amusing key chains, chatty groups of people roaming the halls, friends in twos or threes making their way to the pantry. The pantry is another exciting feature of the TELUS House McKinley West that lives up to its food park concept. There are several kiosks that offers quick snack to full regular meals. Chairs and tables at the center, computers on one side and billiard tables on the other side. They also have a gym overlooking a lush and green park through floor-to-ceiling windows. TELUS International have themed meeting rooms - the Board Game Room lets the team "work and play" literally, with a huge black-and-white chess board on the ceiling, a life-sized playable tic-tac-toe on one wall, a full-length meeting table made out of legos, and chairs in the shape of puzzle pieces. Another meeting room is the Ocean Park Room, as its name suggests, transports team members in an underwater enclosure with cool blue interiors and sea life imagery. With this photo, I won the 1st runner up and received a Nokia 3310 phone. 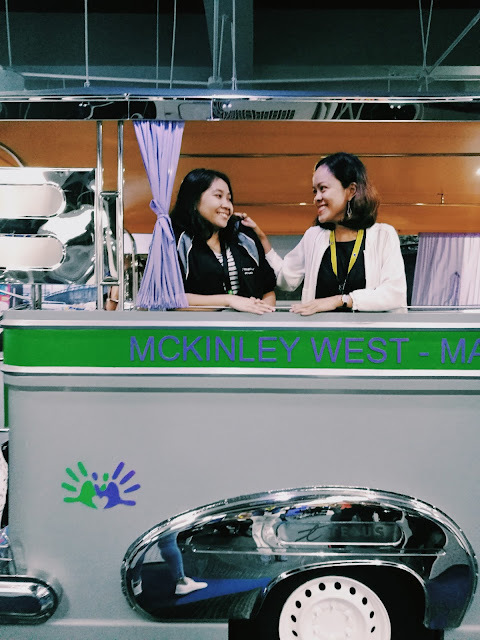 Next is the Jeepney Room's stainless steel exterior, complete with wheels and many hood ornaments, resembles a larger-than-life version of the country's most popular mode of transportation. @TELUS_Ph on Twitter and @telus_phil on Instagram. It's not in the brand of camera phone that makes a photo stand out, how we capture 'that moment' is all that matters. It's good to know that companies like TELUS provides an ideal workplace environment.